Dragon Eternity - is a free cross-platform fantasy MMORPG made by Game Insight LLC for mobile devices or your browser on your pc or laptop. The two great Empires Sadar and Vaalor have been wrestling for the control over the continent of Tartu. But the former foes have to join forces when an ancient enemy—the spawn of dark Shaab Gods—returns to enslave the Dragon World and casts a spell of sinister blight on all living things. Once you’ve chosen your Empire you become a warrior and start making your way in the beautiful, but dangerous world of Adan. Dive into the fascinating story, meet complex characters, fight uncanny monsters; join battles with other players, play all kinds of mini-games and set into motion grand events that will affect the fate of the Dragon World. ✔ unbelievably beautiful and diverse locations: from deserts and tropical islands to forests and mountain ravines. 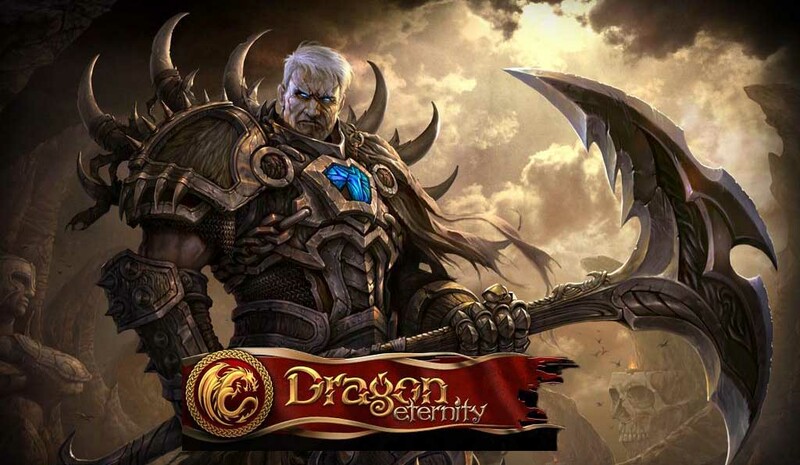 Dragon Eternity: install APK and play the game.